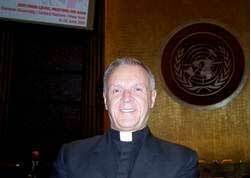 Our hopes for a more peaceful and just world depend on respect for the rights and dignity of all people. It is for this reason that our foreign policy champions human rights and opposes violence and discrimination that targets people because of who they are and whom they love. President Obama’s groundbreaking Presidential Memorandum of December 6, 2011 reflected this commitment by directing the federal government to ensure that U.S. diplomacy and foreign assistance promote and protect the human rights of LGBT people abroad. We have seen extraordinary advances for LGBT rights in the United States and in many countries around the world. But some governments have challenged this progress, with results that not only endanger local LGBT communities, but also pose a setback for all those around the world who share a commitment to freedom, justice, and equal rights. 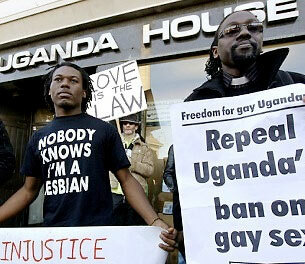 The Government of Uganda’s enactment of the “Anti-Homosexuality Act” is precisely such a step in the wrong direction. As President Obama made clear in February, the enactment of the AHA is more than an affront to the LGBT community in Uganda — it calls into question the Government of Uganda’s commitment to protecting the human rights of all its people, and complicates our bilateral relationship. Restricting entry to the United States. We want human rights abusers, worldwide, to know their misdeeds are not unnoticed and would-be human rights abusers to understand that there are consequences for engaging in such actions. The State Department is therefore taking steps consistent with its current authorities (including Presidential Proclamation 8697) to restrict the entry into the United States of specific Ugandan individuals involved in serious violations or abuses of human rights, including those determined to have committed such violations or abuses against LGBT individuals. While we will not identify the individuals whom we have watch-listed in line with confidentiality requirements, this step makes clear our commitment to sanctioning individuals determined to have perpetrated human rights abuses or who are responsible for such acts in the future. In addition, the United States will also take steps consistent with current authorities to restrict entry into the United States by Ugandans who are found responsible for significant public corruption. Ceasing support for Uganda’s community policing program. We are very concerned about the extent to which the Ugandan police may be involved in abusive activities undertaken in the name of implementing the AHA. These concerns relate to the April 3 raid on a U.S.-funded public health program at Makerere University, as well as credible reports of individuals detained and abused while in police custody. Therefore, even as we continue to press the police at every level to fulfill their responsibility to protect all Ugandans, we will also be discontinuing a $2.4 million program in support for the Uganda Police Force community-policing program. Redirecting certain financial support for the Ministry of Health (MOH) to other partners. We remain steadfast in our commitment to supporting the health needs of the Ugandan people, but we seek to invest in partners and programs that share our commitment to equal access and our evidence-based approach to medicine and science. We are accordingly shifting a portion of our financial support for MOH salaries, travel expenses, and other items to health-related activities being undertaken by non-governmental partners in Uganda. These modifications will focus on MOH central headquarters staff in order to avoid negatively affecting health care workers and direct service providers in Uganda. Relocating funds for a planned public health institute and other measures relating to health programming. For similar reasons, we are relocating to another African country the planned establishment of a National Public Health Institute, for which we would have provided approximately $3 million in funding. We have also relocated a National Institutes of Health genomics meeting from Uganda to South Africa. Cancelling a military aviation exercise. We have also cancelled plans to conduct the Department of Defense’s Africa Partnership Flight exercise in Uganda. This was intended to be a United States African Command (AFRICOM)-sponsored aviation exercise with other East African partners. These steps are in addition to the measures that we announced in March. Among other things, we took steps at that time to redirect funding away from program implementers whose actions called into question their willingness to serve all people in need, to shift certain military and intelligence engagements to other locations, and to suspend certain near-term invitational travel for Ugandan military and police officials. In taking the measures that we have described, the U.S. government is mindful of the wide range of issues encompassed by our relationship with Uganda — including our development and humanitarian support for the Ugandan people, our efforts to counter the murderous Lord’s Resistance Army, and a partnership that advances our security interests in the region. We will seek to advance these interests while also working with both governmental and non-governmental partners to end discrimination against LGBT people in Uganda and around the world — a struggle central to the United States’ commitment to promoting human rights. Grant Harris currently serves as Special Assistant to the President and Senior Director for African Affairs on the National Security Council. Stephen Pomper is the Senior Director for Multilateral Affairs and Human Rights on the National Security Council. Interpretation of history, particularly religious history, must always be done with the meticulous skill of a surgeon, or the patient may die. Left to the devices of amateurs or God forbid, politicians, lots of people will remain seriously wounded or die. Interpretation of history, at its highest calling, must be to enable the healing of the past and repair some kind of communal “wound.” The Jewish concept of “repairing the world” while avoiding humanity’s most dangerous sin – amnesia — remains a constant theme engrained in holy Scriptures and epic stories. Uganda’s independent Sunday Monitor this morning has published an interview with MP David Bahati, sponsor of the infamous Anti-Homosexuality Bill, in which he reiterated that the close of the 8th Parliament was simply “pressing the pause button.” He told Monitor reporter Philippa Croome that the bill’s death penalty “is something we have moved away from,” despite the fact that the death penalty has not been removed at all. In fact, the recommendation from the Parliamentary and Legal Affairs Committee, which was given jurisdiction over the bill, recommended striking the phrase “shall suffer death” and replacing it with the phrase “shall suffer the penalty provided for aggravated defilement under Section 129 of the Penal Code Act.” Section 129 itself calls for the death penalty, which means that if the committee’s recommendations were adopted the death penalty would remain in place. It just wouldn’t be so obvious to those who don’t know what Section 129 specifies. Continue Reading. Take action against the “Kill the Gays” bill in Uganda. Conservative lawmakers in Uganda are working to advance a bill that would sentence LGBT people to death. That’s right, death for countless lesbian, gay, bisexual and transgender people in Uganda. We just learned the “kill the gays” bill could come up for a vote in the next 72 hours (1) if we don’t act now. A conservative leader recently presented the Ugandan parliament with 2 million signatures in support of the law (2). They are trying hard to push the bill forward before the millions like us who oppose it have a chance to speak out. We need to create an international outcry to stop this bill and we need to do it fast. We have 72 hours to act: can you sign this petition to President Museveni demanding that he publicly vow to veto this hateful bill? As soon as you sign, please pass it on to everyone you know. Our best chance at stopping the bill is each other—if thousands of us spread the word we can make clear that the world is watching and we will not allow this to stand. While some conservative members of parliament have staked their political careers on this bill (3), Ugandan President, Yoweri Museveni has shown himself to be sensitive to international pressure. Last year, a massive response from people around the world pushed him to stop the bill in its tracks. This terrible bill is part of a pattern from conservatives in Uganda to marginalize pro-democracy forces – in recent weeks, opposition activists have been beaten, teargassed, jailed and even killed (5). And In the last year LGBT Ugandans have been repeatedly targeted, attacked, and murdered—like beloved activist David Kato (6), murdered just months after a local tabloid published his picture under the headline, “Uganda’s Top Homos: Hang Them.”(7). Others have been driven out of the country as refugees, and sometimes even threatened abroad by the government (8). Enough is enough. Please sign this petition to Ugandan president Museveni, demanding that he veto the bill should it be passed in Parliament–and then pass it on to all of your friends. 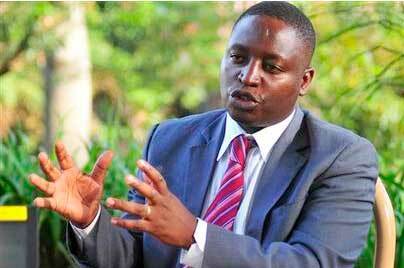 The Council hopes that this is just a last desperate act by MP Bahati as the curtain closes on the current parliament in Uganda. We urge the United States to hold President Museveni to his assurance that this bill will not become law, even if the death penalty is removed. Read reports about recent developments from the Associated Press and Box Turtle Bulletin. NTV, a Ugandan television station, reports that the Ugandan Parliament may again begin debates of the draconian Anti-Homosexuality bill during the parliaments lame duck session which is set to begin on March 22.